The main part of our work is transport services in Estonia. 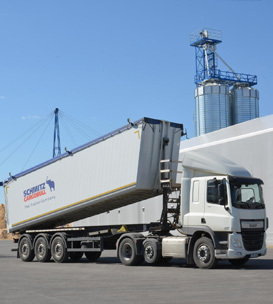 We serve our customers with wooden pellet and bulk material with tip lorry trailers and "walking floor" trailers. We also provide transportation of pallets and sawn timber with tautliner semitrailers. We are open to all new co-operation offers. Directions for international transport are both to Europe and Russia, as well within Europe trailers’ transport. 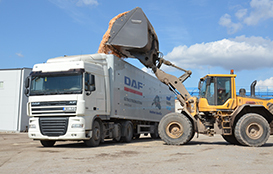 Our machine park consists of 79 DAF trucks that fit EURO 5 and EURO 6 requirements and 77 different types of trailers (Benalu, Knapen, Schmitz, Mega, Krone). Since July 2010 we sell natural gravel, crushed gravel, crushed stone and earthstroke in Tartu country, Laeva municipality Lõhmuse gravel mining.